Microsoft's Media Creation Tool offers an easy way to create a USB drive to install Windows 10. 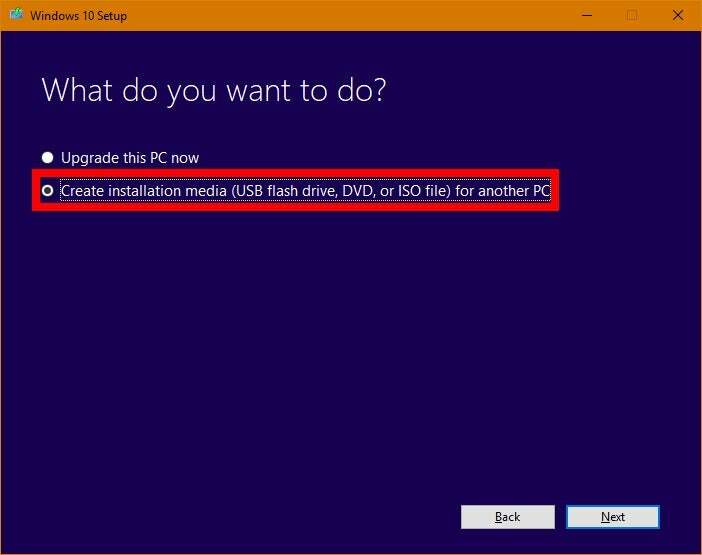 Creating a USB thumb drive loaded with Windows 10 installation media is very easy thanks to Microsoft’s Media Creation Tool. 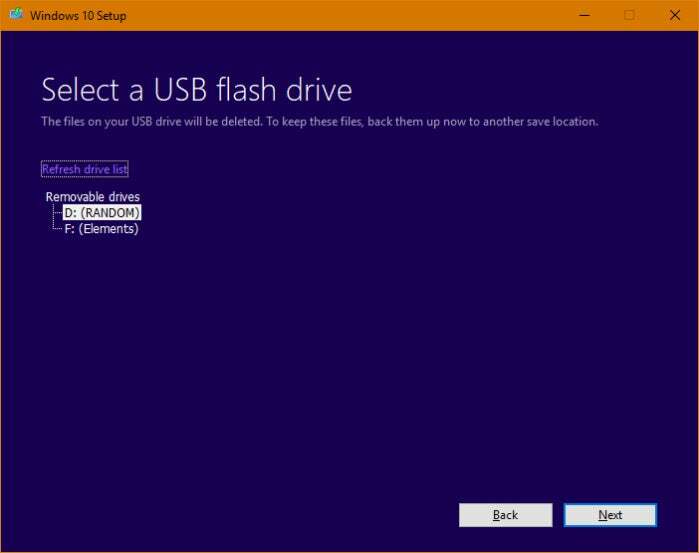 With a prepared USB drive you can install the latest version of Windows on a new PC or have an install drive at the ready should your current rig start to malfunction. 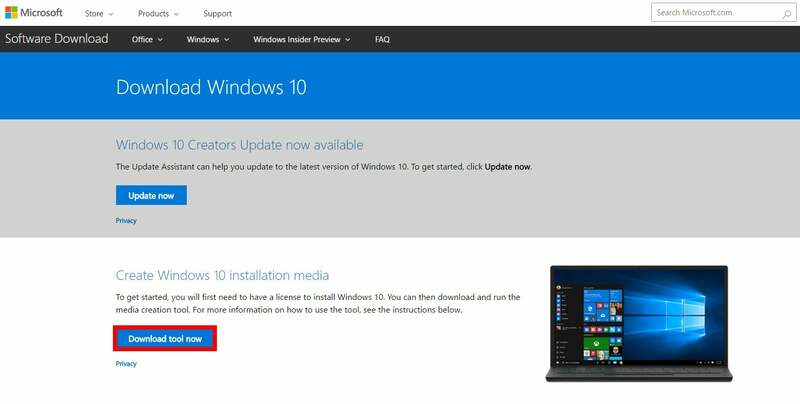 The first thing you need to do is go to Microsoft’s dedicated website for Windows 10 downloads, and click Download tool now to grab the Media Creation Tool. 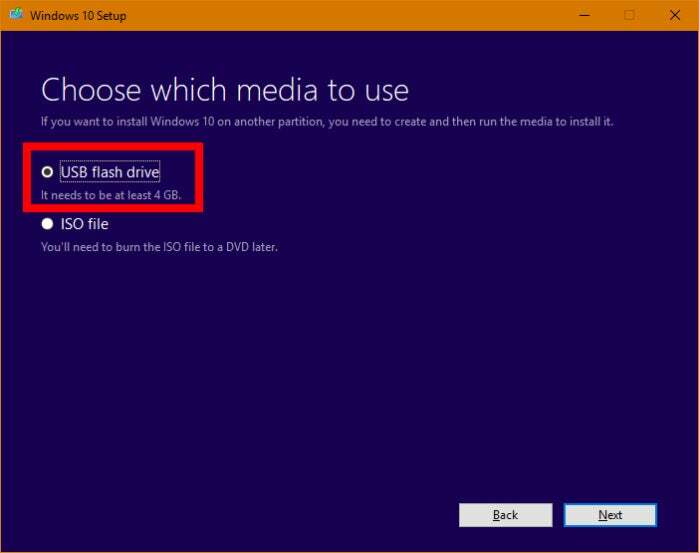 Now would also be a good time to insert the USB drive you want to use as your installation media. It needs to be at least 5GB in size (you'll see "4GB" in the tool, but Microsoft confirmed the larger number), and make sure you know which drive letter it’s been assigned (D, E, F, etc.) once you plug it in. 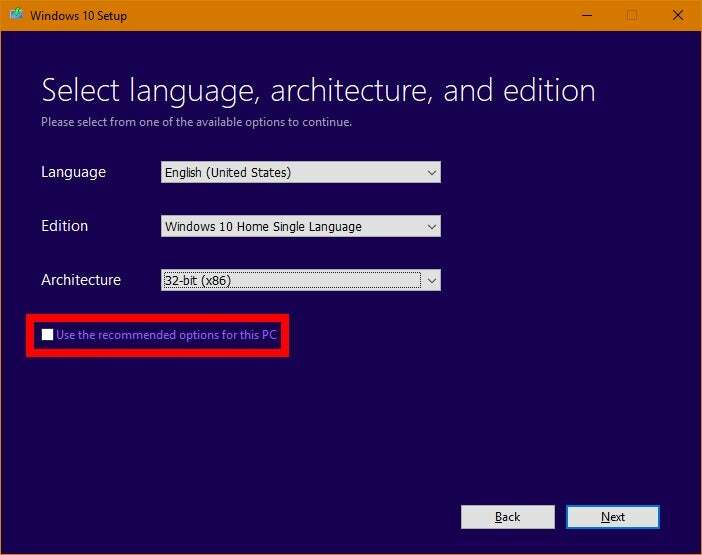 If you need to change anything such as the default language, edition of Windows 10 (Home or Pro), or the architecture (32- or 64-bit), deselect the check box labeled Use the recommended options for this PC. The change most users will likely need to make is to the architecture. If you try to upgrade a 32-bit PC with a 64-bit version of Windows, for example, it won’t work. 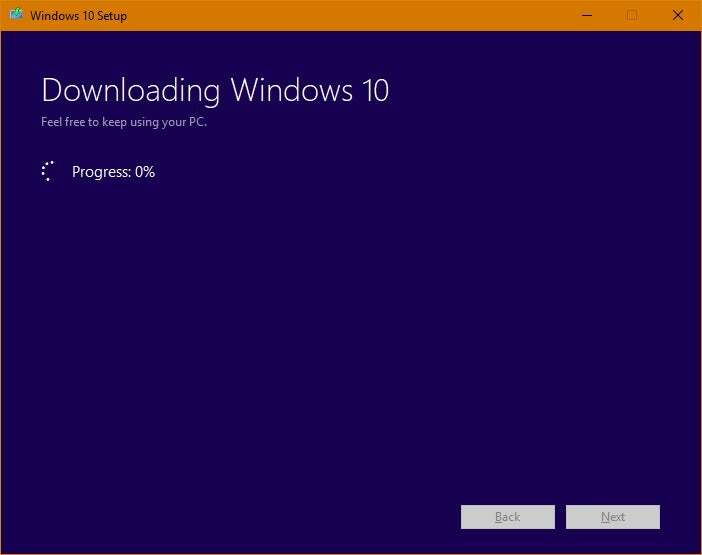 Once you’ve made the necessary changes, click Next.